The Myths & Outcasts DLC adds in four new classes and four new monster races thoroughly mixing things up, especially as each class has their own strengths, weaknesses, special traits and changes who is friendly towards you which is pretty interesting for such a game. Note: If you do buy the DLC from GOG, it will give you a text file with a DLC key in which you enter in the top right of the main menu, which confused me initially as the text for it is so small it's easy to miss. They have another DLC planned named Legends & Pariahs but I've yet to see them talk about what it's going to contain. 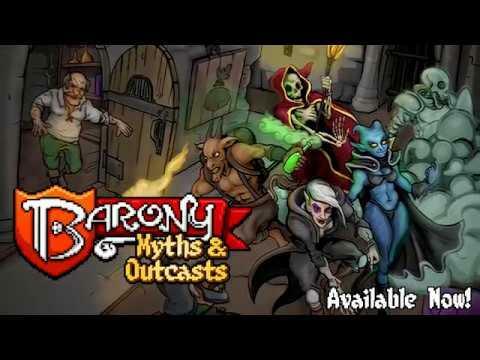 You can grab Barony and the DLC on GOG, Humble Store and Steam. As a reminder, the actual code is open source too on GitHub but you still need a copy to play with it. Truly an amazing game! I'm not usually a big fan of roguelikes, but I always find myself coming back to this one.